is indeed as inter caste relationship.Junior NTR is the son of Nandamuri’s harikrishna’s first wife,her name is shalini and she is a Brahmin who hail from Karnataka. 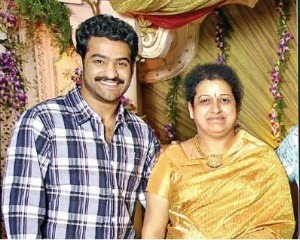 Junior NTR’s mother is actually a Karnataka Brahmin, she is a pure Brahmin from some lingayat sector I believe,and I think this is one of the most important reasons that Junior NTR learnt Bharatnatiyam and Kuchipudi dance.Jr NTR mom Shalini is a pure Brahmin hailing from Karnataka.Her name itself says that she is a Brahmin,and not a Muslim. Lingayats are a sect against caste. They have no brahmins or any other caste!